Sherlock and Downton Abbey fans have something to celebrate this holiday season – the news that their favorite leading men are going to be in a film together! 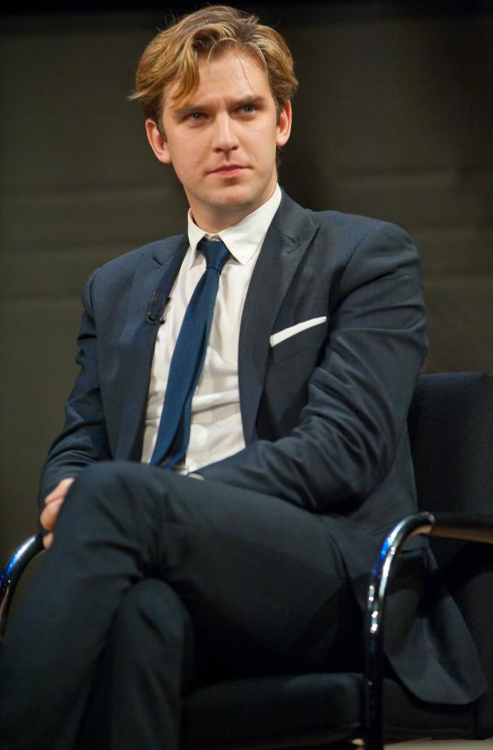 Sherlock star Benedict Cumberbatch was confirmed to star as the infamous Julian Assange in a biopic about the whistleblower’s life earlier this fall, and now it looks like Downton’s Dan Stevens will be joining the film’s all-star cast as well. Hip hip hooray! Tentatively titled The Man Who Sold the World, the film will be directed by Bill Condon and written by West Wing alum Josh Singer, based on the books Inside WikiLeaks: My Time with Julian Assange at the World’s Most Dangerous Website and Wikileaks: Inside Julian Assange’s War on Secrecy. It will dramatize the tumultuous years in Assange’s life following the launch of the notorious Wikileaks site in 2006. The site went on to leak anonymous corporate and government documents from around the world to the public and, as a result, Assange is currently seeking asylum at the Ecuadorian embassy in London. While Cumberbatch seems confident that his burgeoning film career won’t impact the future of Sherlock, Stevens’ involvement with Downton Abbey seems slightly less certain. While there has been no official confirmation about whether the actor will return for the costume drama’s fourth series, rumors continue to persist that Stevens will only appear in a limited capacity, at best. However, Stevens’ casting in The Man Who Sold the World offers no real proof in either direction as to the truth of these rumors, as it’s slated to begin filming in January, likely before Downton Abbey starts shooting Series 4. (In fact, all signs point to this film being the reason that the Sherlock shooting schedule had to be rearranged.) Stevens’ role in the film is impactful to be sure, but is certainly not as large as some of the other actors, so there still appears to be no real reason why he could not do both projects. We hope, anyway. Benedict Cumberbatch's new Showtime drama begins this May! HBO will air Benedict Cumberbatch's new "Brexit" drama next month. New Benedict Cumberbatch drama "The Child in Time" finally has a U.S. premiere date!